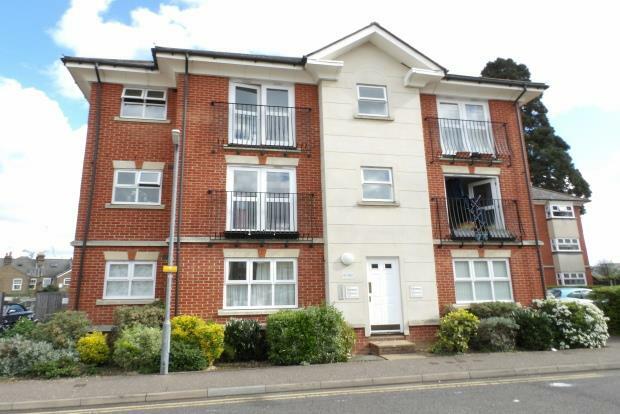 1 Bedroom Apartment To Rent in Chelmsford for £750 per Calendar Month. Positioned on this private development within walking distance to Chelmsford City Centre and mainline Railway Station, being just 0.6 mile. Communal Door with audio entry system leading to Apartment Door into Entrance Hall with Laminate Flooring, Airing Cupboard, doors to Lounge, Bedroom and Bathroom. LOUNGE - 13'01" x 10'04"
Laminate flooring, TV, Satellite & Telephone Sockets, Window to front with Vertical Blinds. KITCHEN - 9'10" x 7'09"
Laminate Tile effect flooring, stainless steel Sink & Drainer, integrated electric Hob & Oven, integrated Extractor Hood, tall Fridge/Freezer with Water Dispenser, Washing Machine, Airing Cupboard, Window to rear with Roller Blind. BEDROOM - 10'03" x 7'10"
Carpeted, built-in Wardrobe, Window to rear with Curtains. SHOWER ROOM - 6'02" x 6'02"
Vinyl Tile effect Flooring, white suite comprising of WC, Basin, Shower Cubicle with electric Shower, Extractor Fan, Window to side with Roller Blind. Lawn area with communal washing line.